This entry was posted on February 6, 2014 by Patrons of the Pit. It was filed under Uncategorized and was tagged with bbq, big green egg, cast iron, cast iron grates, cooking, Craycort, craycort grills, food, grates, grills, kamado, sear marks, weber, writing. Nice review. 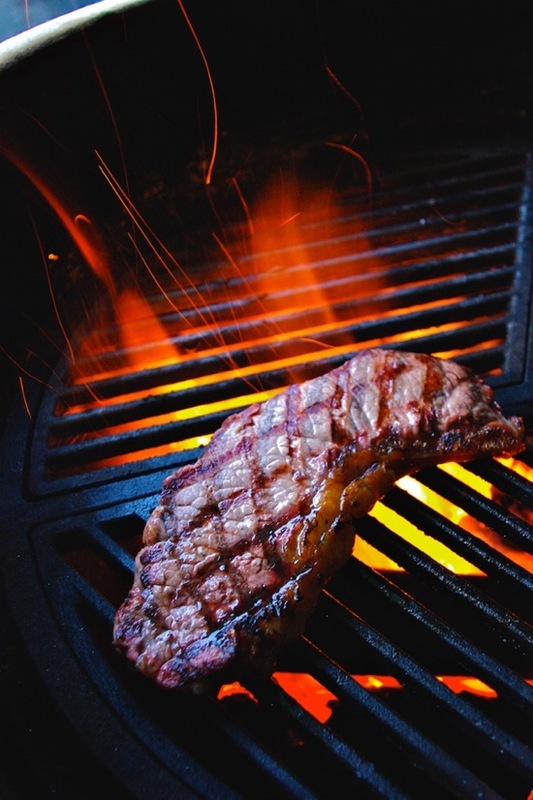 Anyone who doesn’t know to look after cast iron doesn’t deserve it!… Grill on my friend. Always keen to whip out our poet sword! That’s why your great! Well I think you should! Thanks Auntiedoni. Aloha! That’s really cool! I especially like the griddle insert. Shared with my own grill master! Very interesting!! I thought you guys might like this one. They make them to fit the Weber Performer too. Now you know what to get David for Christmas! He would probably love it. I worked in the lawn and garden section at Sears for 5 years. Of course, BBQ grills were a part of my department. Because we were paid mostly on sales commissions, which I lead our department in sales every year, I took my products very seriously, and studied their pros and cons inside and out. So when a customer approached me, they knew they weren’t being fed a line of crap. 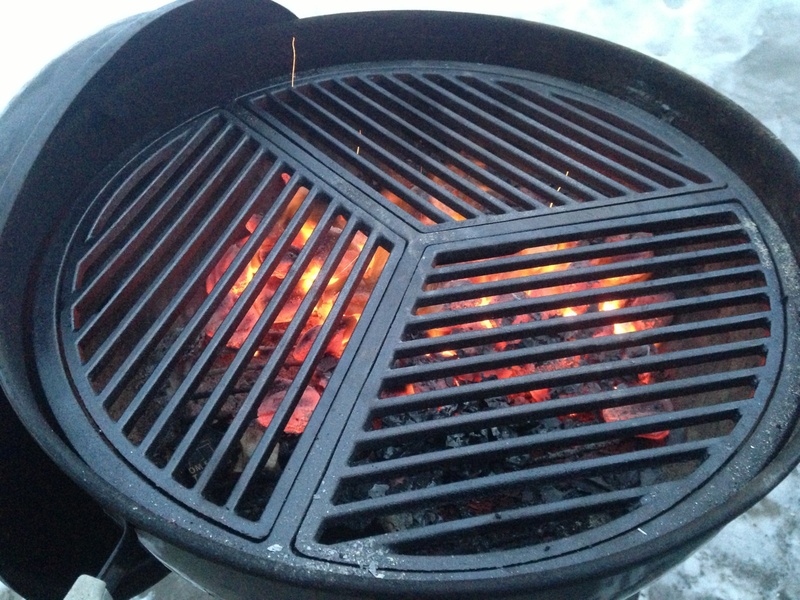 When it came to the quality of a good BBQ, it began at the quality of the grates and went from there. If the grates were heavy-duty in comparison to the chicken-wire grates of the cheaper models, that was a very good indicator to the quality of the rest of the product. Bottom line, BBQ’s are a perfect example of you get exactly what you pay for. As always, well said, Rick. Couldn’t agree with you more. It’s startling to consider how much money people might have saved had they spent the money right the first time. Not just with BBQ’s, but all matter of things. Wow! 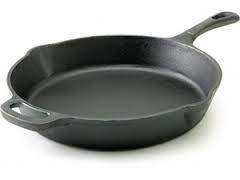 Just plain “Wow!” You know how I feel about cast iron, like others feel about Chanel. Checkin’ em out. I hear ya Mrs. Deerslayer. And I couldn’t help but to think of you and your cast iron ninja skills when writing up this review. Its right up your alley! oh now – those are awesome! Heck yes. They’re pretty slick, especially so the accessories. I have been a fan of the cast iron grate for some time. A little more than two years ago, there was a deal on Groupon from a company called Mangrate. Knowing that the heavier the grate, the better the grilling especially for direct heat cooking like steaks and chops and burgers etc,, I bought a couple. They have been great. They sit on top of the Weber standard issue wire grille top. They get nice and hot and they make for beautiful grille marks. But most importantly, they cook great – very evenly. As a cook by time as a function of thickness griller, I can get perfect doneness every time. 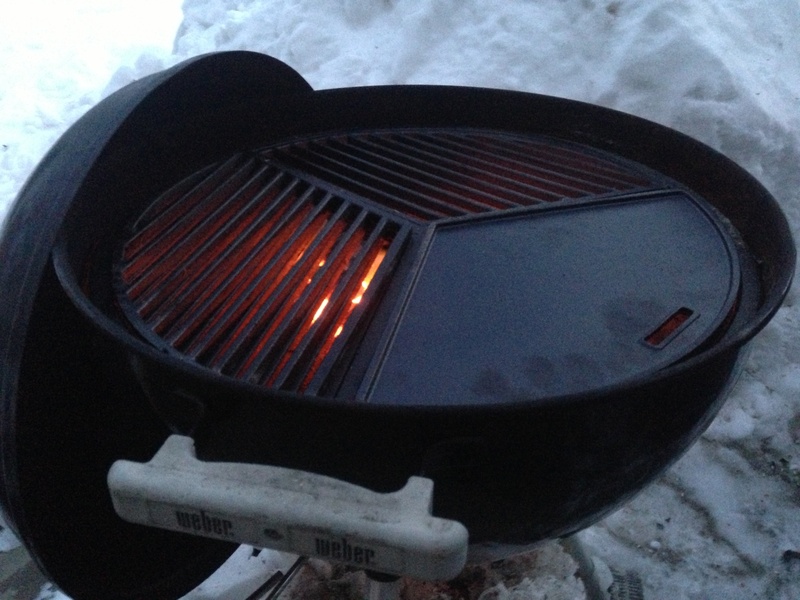 That said, I like the options and the look of the Craycort so they could be sitting on top of my second Weber very soon. Ah, thank you kindly, Joel. Always a treat when you chime in. I mean that. I look forward to it! Yes, there is very little not to love about cast iron grates. Long as you keep them oiled, they’re awesome. Bless ya, Joel! Have a good one! I need to write you some grillin’ limericks! Have you been to Life Is A Limerick? I have visited your site a few times, yes. It’s a hoot over there. Yes indeed, grilling limericks…I like the sound of that! very pretty 🙂 About time you got an upgrade! If anyone is worth top-notch grill gear, it would be you. Thanks much, Liz. Definitely enjoying the good life! Nice. I’ve been wanting those grates for awhile. Someday, they shall be mine. Oh yes, they shall. Nice write up. Thank you sir. Good to hear from you! Hello, nice to meet you and thank you for stopping by my miniscule blog. I see you are friends with John and Mary and I’ve been reading their past posts to catch up to date…wonderful and heartwarming blog. 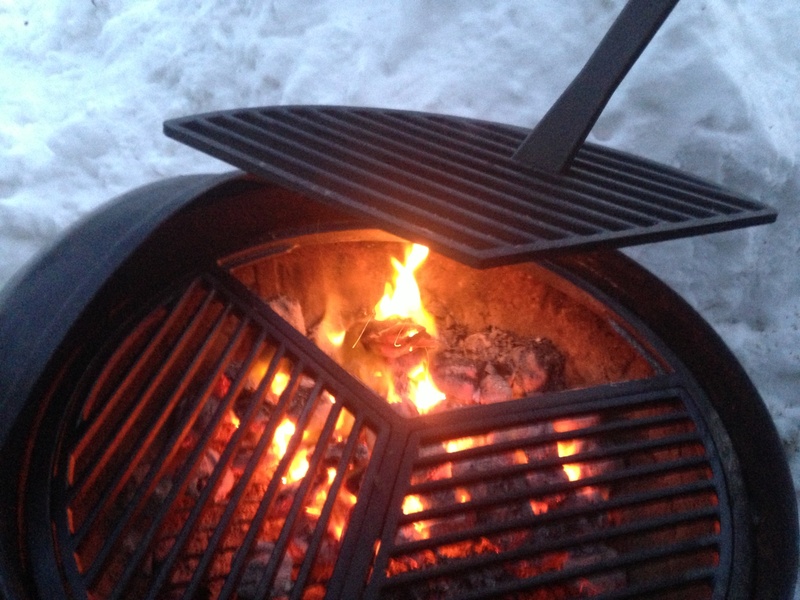 We are in need of a new grill, too, as ours has pretty much rusted out. 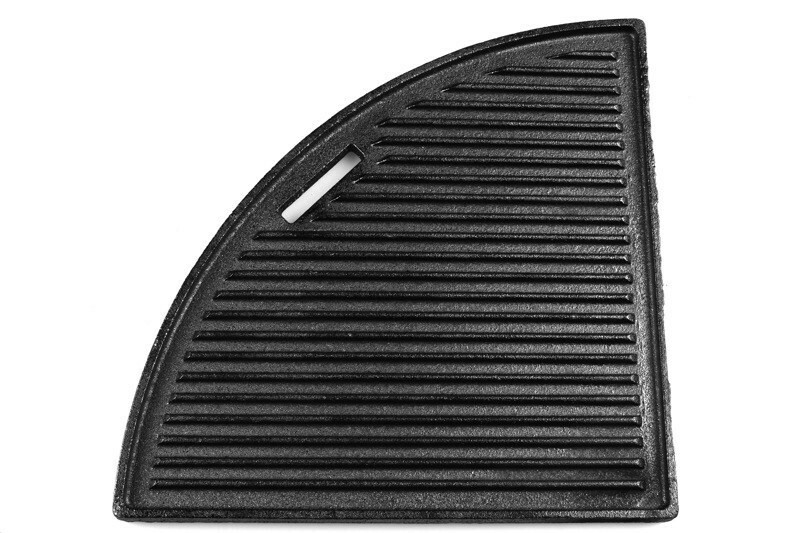 Great review on the cast iron grates. I can so relate to the cold weather as we live in Northern Illinois. But we don’t have it in us to go out to grill in the cold, haha, you are very brave! Great to meet you too, Barbara! Yup, John and Mary’s blog. Not sure how I stumbled onto theirs, but I’m glad I did. Heartwarming indeed. Not to mention, I rather enjoy the old boy’s wit! So I try and always check in and see what’s going on down in Ecuador. And usually it’s quite a bit! Thank you kindly for stopping by our humble blog as well, and for spending a little time with us. Very kind of you. Yeah, we’re kind of nuts grilling out in the cold, but hey, we like to eat! Plus it always gives me something to write about. Bless ya Barbara , and have a great weekend!